I recently returned to the choppy waters of freelancing; this has proved to be both exciting and stressful. On the plus side, I’m writing this from a pretty bar in Yorkshire bang in the middle of the afternoon – the downside is that I’ve developed an unhealthy attraction and yet a simultaneous aversion to emails. Another joyous positive for the life of a freelancer is the freedom to take on work away from the norm. I was recently invited to join Dave Darch and his team working with young people with the BFI and THAMES film music project for a Foley workshop, complimenting their 10-week music for film course. I turned up armed with a back-breaking array of props, shoes, cloths and vegetables with the full intention of wiggling them all in front of the students. A high percentage of these items were indeed wiggled. The young people also got a chance to wiggle them to their own films that they’re working on. I think they enjoyed their day; it’s not often folks get a chance to step into someone else’s shoes or transform a hand drill into a pistol. At the request of Dave, I brought with me some examples of my Foley to picture, including a section of Moshi Monsters: The Movie. It hadn’t occurred to me that not many folk get to watch moves without the finished mix; they all seemed to be transfixed. I didn’t write up anything about Moshi when we were busy working on it. This is due to the fact I was bloody knackered at the time. 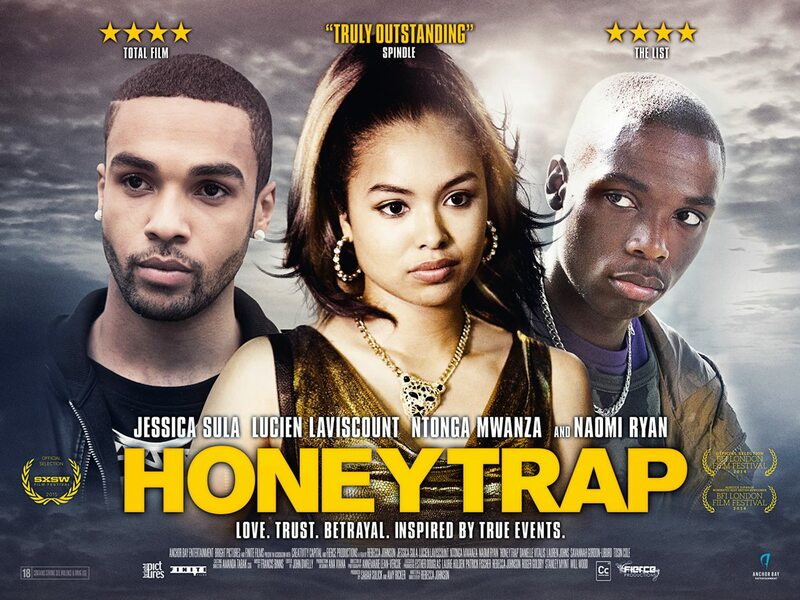 The film was the first by Shoreditch’s award winning digital company Mind Candy and was released straight after their win at the Children’s BAFTAs. Mind Candy’s Lead Audio Designer, Daan Hendricks, got in touch with us when I was at Creativity Media and we joined his team on the sound design, Foley and effects mixing. This would be my first theatrical animated film and I was bricking it. I wasn’t overly familiar with Moshi Monsters and the idea of creating their movements for the first time in a film was a little daunting. Thankfully, I had Alex giving me a whole bunch of advice and we were soon strolling around Soho poking heads into various shops and market stalls looking for interesting food stuffs, toys and materials that would bring these characters to life. The workflow of the film in terms of the Foley was a little different to that which I’m used to. Spider Eye, the animation studio, would send us sections of the film once they were fully rendered and green-lit. Therefore, we worked in a very non-linear fashion, recording and fitting Foley in a very stop-start manner until we received picture lock. We took a couple of days recording with Gwilym Perry (now of Doppler and Dubbs) in Twickenham’s theatre 3 then finished the rest of the film with Simon Trundle at Universal Sound. These two studios have their own unique characteristics and the two mixers their own separate approaches, both of whom contributed such wonderful creative ideas and experience, I really valued working with them both. 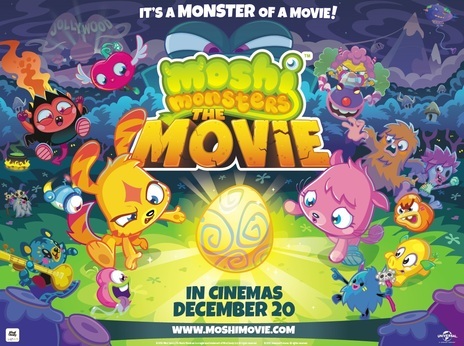 The five Moshi Monsters who lead us through the film are the same monsters that children ‘adopt’ in the online game. Katsuma (a cat with an inflated sense of self), Poppet (the level headed character), Zommer (think of Scooby Doo’s Shaggy but more of a zombie), Furri (lovable hairy oaf), Diavlo (fiery) and Luvli (sultry). They are also joined by Poppet’s favourite Moshling, Mr Snoodle (a little horse which looks like an elephant puppy). These are characters that kids will know and love so it was pretty essential to make their movements reach expectations. In terms of cloth tracks, I pretty much followed their animal type or resorted to simple cotton cloth. The supporting characters, however, offered more creative opportunities. Shelby, a turtle character, needed an interesting material for his moves. Alex suggested using PVC which was duly adopted and had a nice sound to it. Buster Bumblechops (a Jurassic Park Richard Attenborough type in an adventurous mood) was performed with canvas and rougher cloth. The character Furry was… furry. I performed his moves with fur. Imagination was required elsewhere. Footsteps provided the other major preparation challenge. I couldn’t decide whether to follow what was on screen or to go with the nature of the characters instead (soft, wet, rocky, bristly etc). We experimented with different materials but- for the most part- went with less abstract choices… if you can call udon noodles less abstract for a footstep. In fairness, the leads were walked lightly with fairly standard shoes. One character was barefoot but heavy set; I walked him with my hands but made them very ‘slappy’. Daan wanted a kinda plastic/rubberish footstep for Mr Snoodle. After much rummaging around, Universal’s Paul Hanks came up with using finger tips upon a wellington boot. This project induced a very collaborative environment and the Foley benefitted from this. A section of the film that we spent quite a bit of time on was set on a snowy mountain; the footsteps involved the usual cornstarch and rock salt. The scene involved an avalanche that was a bit of fun to create. This is one of those moments where the Foley stage is used by the sound designers and fx editors to obtain something for themselves. Both Alex and Daan were keen to collate a bank of recordings that they could later affect for their own design and fx tracklays. Acquiring the help of another soundie, Ryan Lee Twyman, we flumped and bellowed pillowcases full of flour onto the floor all in full view of the Neumann and contact mic. The recordings accumulated but a distinct sound of falling snow was missing. As I brushed the ground ready for another load to drop, Alex was still monitoring the mics. Turns out a little hand brush on the concrete with cornstarch to scatter makes quite a lovely avalanche sound when you’ve got a contact mic there doing its thing. As enjoyable as our more experimental recording sessions were, I maintain that some of the best work comes from having no time to think. The 5 days I had at Universal Sound with their handsome mixer Simon was hard work. Good grief, we had so much to get through whilst my dreamy old colleague Stelios and intern Daniel were editing the fruits of our work. As I wasn’t as familiar with the props at Universal, Simon came up trumps in suggesting props to use. We flew through scene by scene and in all honesty I can’t remember a lot of the things I used because we worked so quickly everything relied upon instinct rather than considered thought. Something particularly enjoyable about working on this film was the expeditions to source prop material. I spent an absolute age looking in different toy shops across London; trying to find items that would pop, whistle, squish, squeak, rattle and hum. These toys proved very useful for both Foley and the sound design. Mr Snoodle’s flappy ears were made with a whoopie cushion, flies were made with buzz magnets and tuning forks, large drinking straw-like pipes were made with a whirly tube slid inside a washing machine tube and the Moshi’s arch enemy’s army of glumps were complimented in the Foley stage with a rubbery toy cheese filled with slime. It was beautifully disgusting and fun. Here’s some pics of the recordings. Here’s the trailer for the film.